It has been said Ad nauseum that a combination of Crosby, Malkin, and the Wilkes-Barre/Scranton Penguins have carried Pittsburgh to the Stanley Cup Final. At first glance this seems true. The injury woes of the Pittsburgh Penguins are well-documented and routinely mentioned. However, is it really true that the team has more players from WBS than normal? Are there more call-ups on the team or are there just more veteran WBS Penguins in Pittsburgh? For better or worse, the WBS Penguins are in the DNA of Pittsburgh Penguins teams. Here are the numbers of WBS veterans playing in Pittsburgh during the postseason from 2008-2017. The greatest number of former WBS players to lace up the skates for Pittsburgh in the postseason was actually last season, when 13 former WBS Penguins played in at least one playoff game. This season it is currently down to 12 players, but the Stanley Cup Final is not over. The past two seasons have shown a larger uptick in WBS veterans in the lineup. It would be incorrect to think that a longer playoff run would require more WBS players. In 2008 and 2009, the Penguins reached the Final dressing only seven and eight former WBS Penguins respectively. All the coaches from 2008 to 2017 have been former WBS head coaches called up to Pittsburgh and have a solid knowledge of players in the system. Yet the use of former WBS players is not uniform among the recent coaches. The greatest increase in WBS players in a single year came during Sullivan’s first year ( +17%). This is likely due to the successful incorporation of AHL players into the NHL lineup, but it is unlikely that this would have happened if not for Pittsburgh’s relentless parade of injuries. However, just because a player has at one time skated for WBS doesn't mean that they are an “AHL call-up” per se. Kris Letang played 10 games for WBS in 2008. 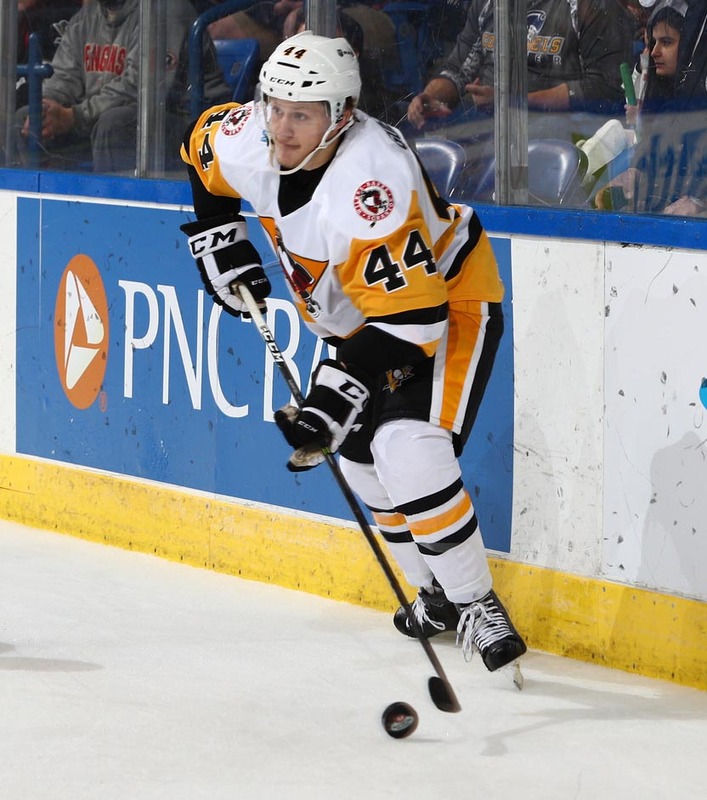 He is a former WBS Penguin. No one has considered him an “AHL call-up” though. What about a player like Conor Sheary? In the 2016 Playoff run, Sheary was certainly a call-up. In 2015-2016, Sheary played 30 AHL games. By 2016, Sheary was an NHLer and no longer a call-up like Jake Guentzel. The next table shows a list of players appearing in a playoff game for Pittsburgh that played at least one game with WBS earlier in the season. When this new definition of “call-up” is applied it becomes much harder to fillet Mike Johnston. He was not the right coach for that Penguins team, but he did deploy a fair number of AHL call-ups. His numbers were second only to Sullivan’s. The number of AHL call-ups were actually higher in the playoffs in 2016 (24% versus this year’s 16%). The Penguins won a Stanley Cup last year when there were six call-ups on the team and seven other WBS veterans. This post season there are a ton of WBS veterans for sure, but in actuality there are less call-ups on the roster, despite all of the injury woes, than last season.